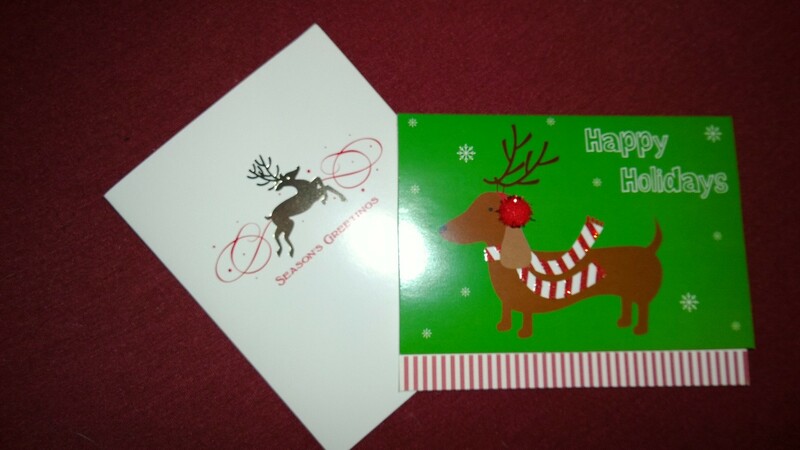 All the cards are sent out, but one! Every year, I save one of my Christmas cards for myself, and after New Year’s I write about the major events of the year in the card. I had the idea during our first Christmas. I was so excited about sending out Christmas cards. 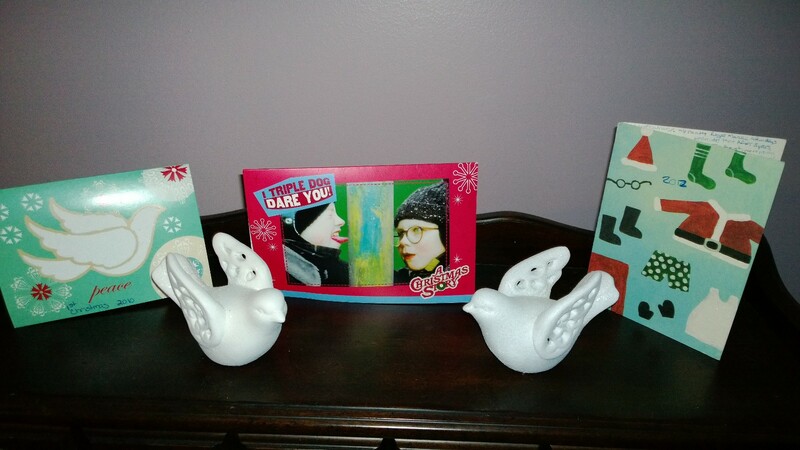 I thought our cards were so beautiful, and I wanted to save one for myself to remember our first married Christmas. I knew that after a year or two the mushy feeling I had for a piece of paper would fade, but not if I actually wrote my sentiments. After I unpack all the decorations, I re-read my old cards. 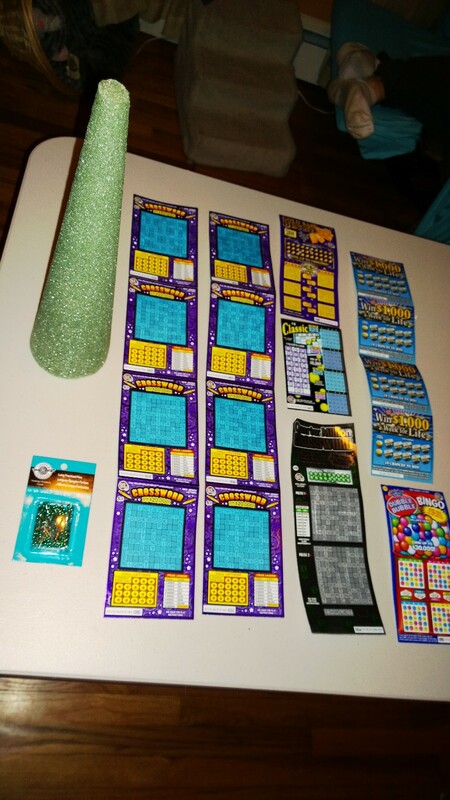 I hope I can keep up with the tradition every year! This year, I will be writing about Matt’s 2 Awards (Yay! ), 3rd published paper (Yay!) and the minor surgery I had last week (boooo). I returned to work from surgery to find these two wonderful gifts from my co-workers on my desk. Meg gave me a new ecard page-a-day calendar to help keep me laughing. 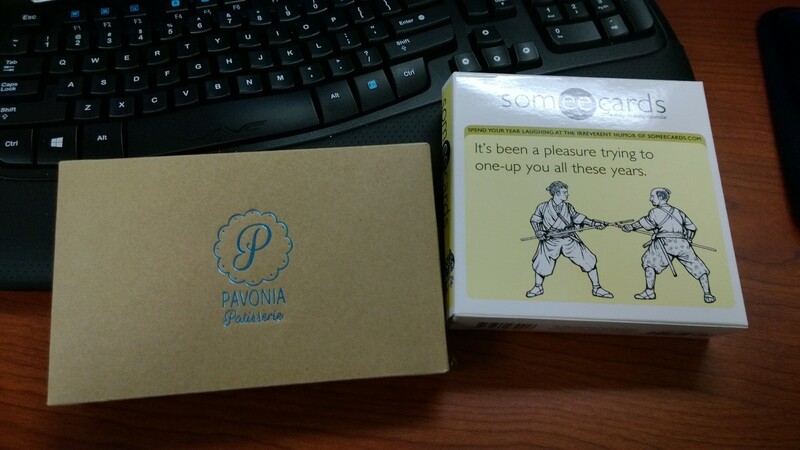 Erin left a box of yummy chocolates from Pavonia Patisserie. 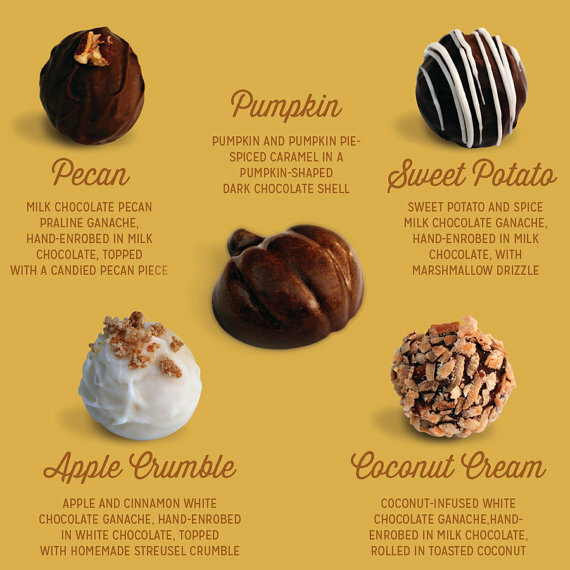 I got a box of “The Pie Collection.” They were all amazing, but my absolute favorite was the sweet potato truffle. Laughter and chocolate cures all. I have pretty awesome co-workers! My parents just came back from Disney with my nieces and nephew, and their Disney trip gave us some early holiday cheer that warmed all our hearts. They take the kids to Disney every year. Usually they go during the summer, but this year the trip was postponed to the Christmas season. They always drive down, and as they passed through Virginia they stopped at a Cracker Barrel for dinner. When they asked for their check, the waitress told them their bill was anonymously paid for by another customer, with just a simple message to be passed along: “God bless you and your well behaved grandchildren.” What a wonderful way to start a trip! It’s so nice to know that there are still sweet people out there. They brought me back this ornament, which I think is the cutest thing ever! 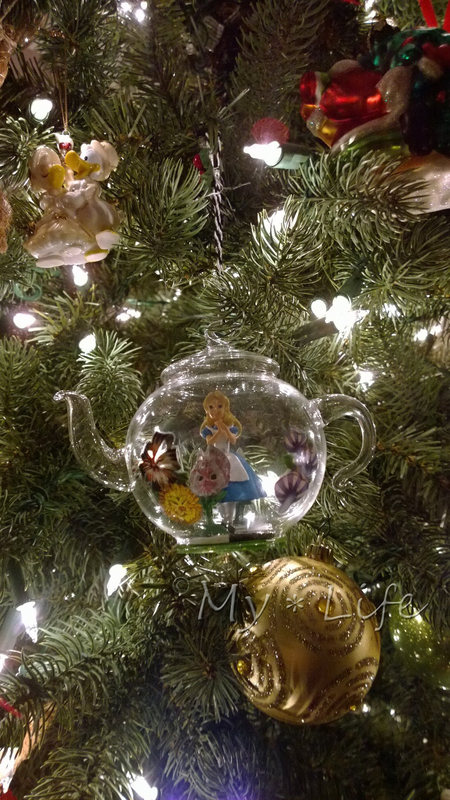 I love Alice, tea, and Christmas ornaments; this was the most awesome souvenir I have ever received! 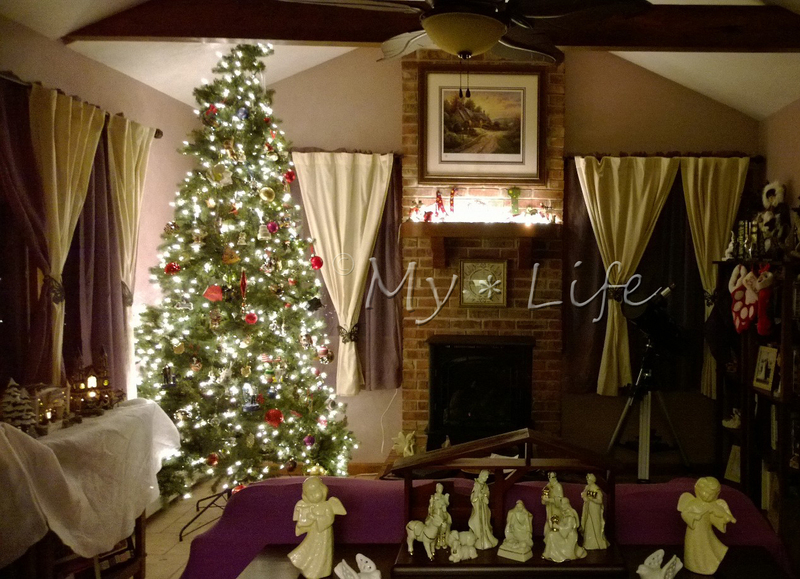 Matt and I decorated for Christmas this past weekend. 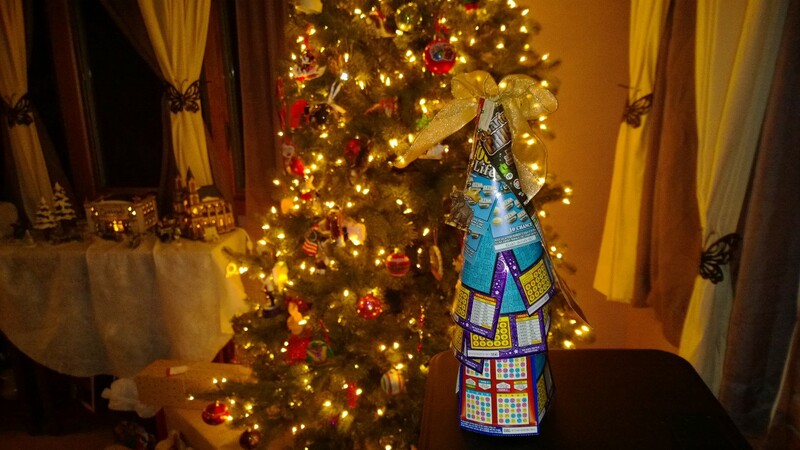 Lights are up, the village is out, tree is decorated, and halls are officially decked for Christmas! 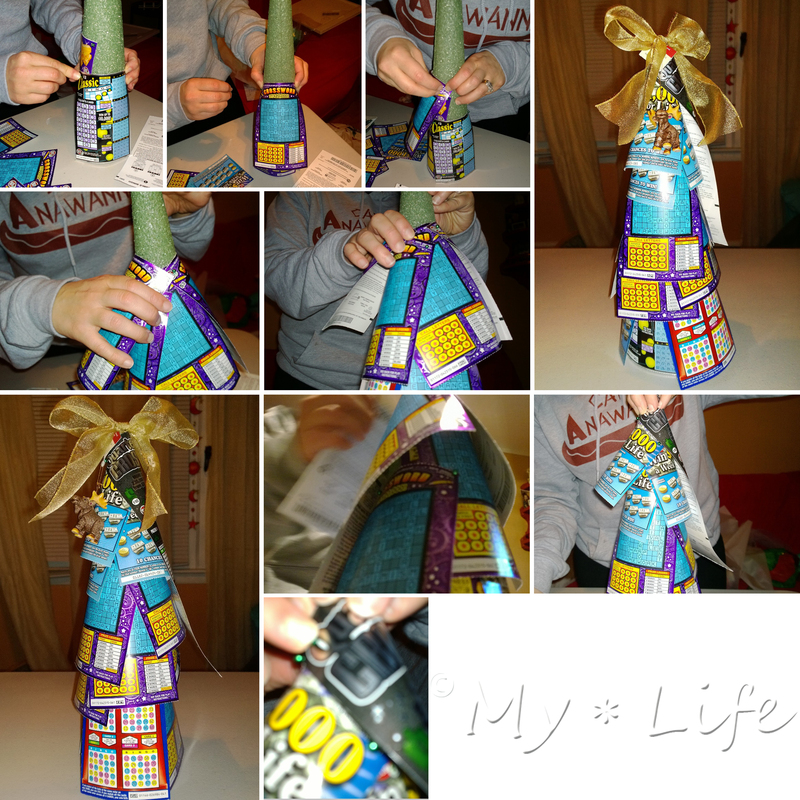 This year I also got pretty crafty with my friend Sara. 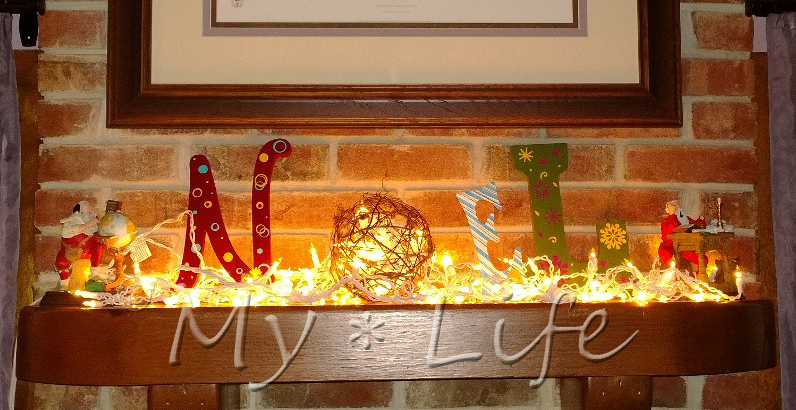 We each and created a Noel feature using wooden wall letters N, E, and L and a wreath/wreath ball as the O in Noel. 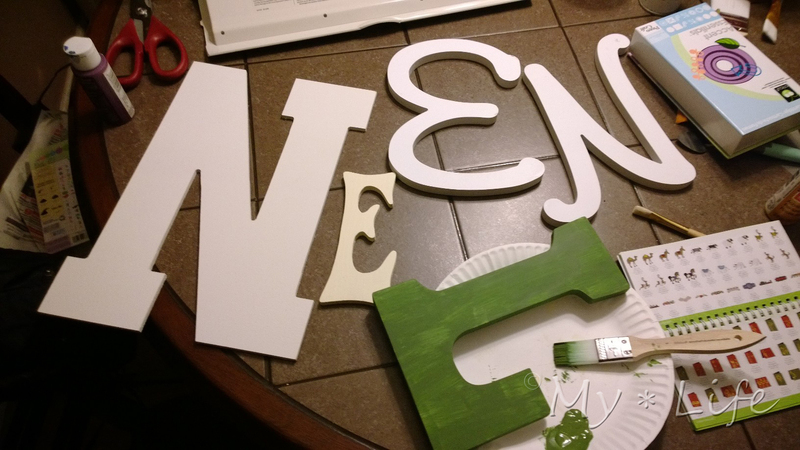 We painted the letters and decorated them with my Cricut machine. 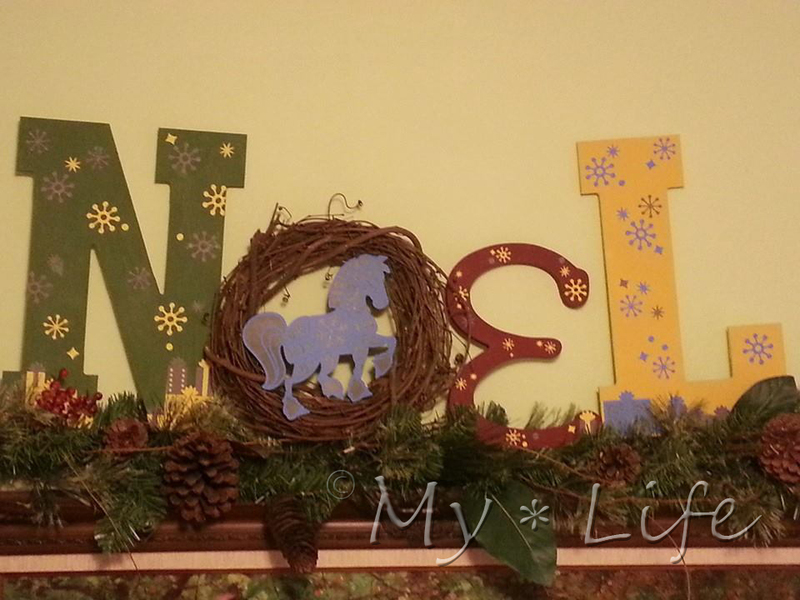 Sara used a wreath and accented it with a horse cutout from the Cricut Quilted Christmas Cartridge. I used the wreath ball and fed some lights through the inside of the ball. 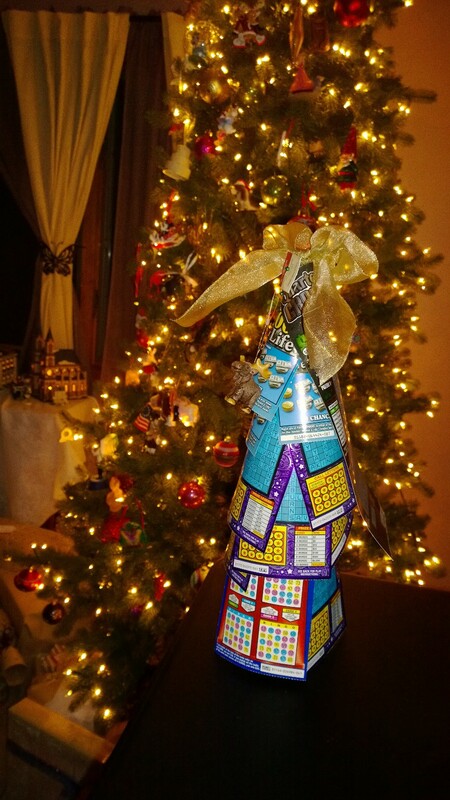 You could also fill the ball with tinsel, garland, holly leaves, small ornaments, or small holiday figurines. I think they’re adorable, if I do say so myself! 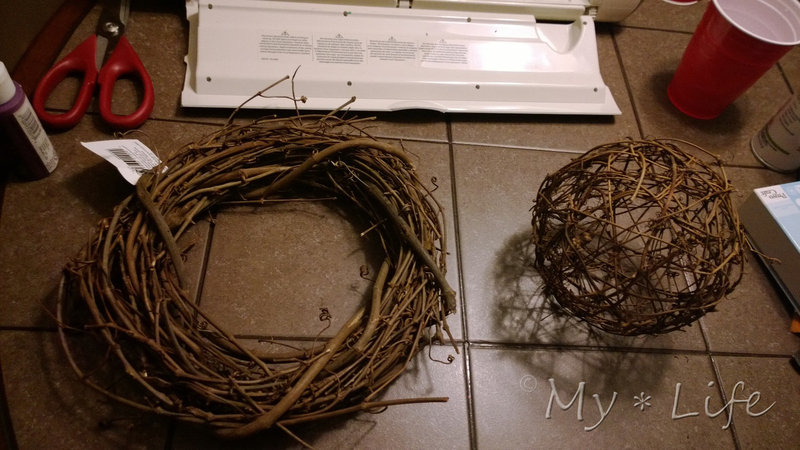 Sara was also thinking that we could vary the wreath displays (using words like Joy, Love, or Mom). It’s finally December, and that means fall is officially over (in my book anyway). I started to pack up all my pumpkins, leaves, scarecrows, and various autumnal decor to replace them with pine trees, holly berries and all my winter decorations. But before I finished I had to use my pumpkin soup bowl. When I brought our pumpkin bowl out, Matt had me promise that we’d actually use it this year, so I made some broccoli and cheese soup to serve in it. 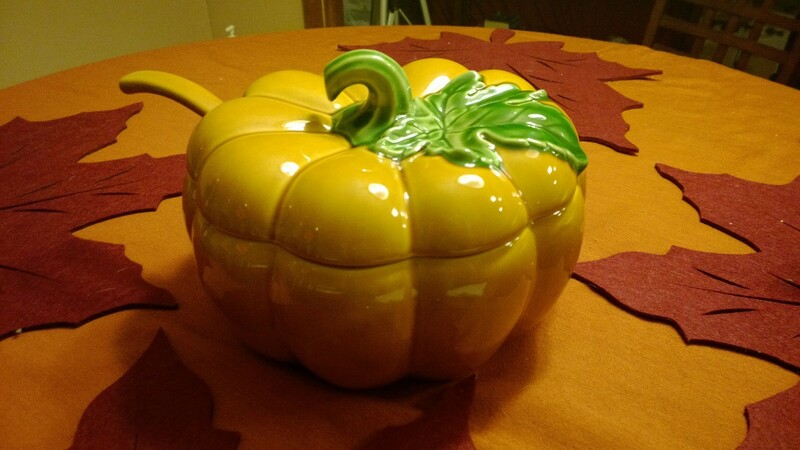 We’ve had this pumpkin serving bowl for years. When Matt started his graduate program at Rutgers, Camden, we rented an apartment in Collingswood. Matt never cared too much for decorations, but I was always brining new pictures or dishes or something superfluous to “homey up” the place. Matt usually thought my decorations were unnecessary. I had the intention of attending Rutgers for my Master’s in English, but was offered a partial scholarship to Monmouth University. So instead of joining Matt at our new apartment, I stayed home to avoid the long commute. 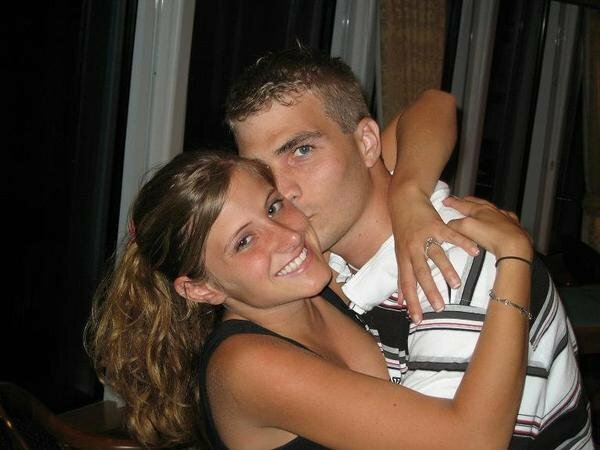 It was hard not seeing Matt every day, like we were used to, but we did see each other at least once a week. A few months after Matt was fully moved in, I bought the pumpkin. I thought it was so beautiful. It wasn’t something from Target or IKEA, this was the first “real” and “adult” piece of decor I had ever bought; college kids have no use for soup serving dishes, after all. I spent something like $30 on it, which at the time I thought was very expensive for a serving bowl. I brought it to the apartment a little embarrassed, knowing Matt wouldn’t like it and wouldn’t like my spending money on the apartment. My embarrassment must have shown on my face, because when I showed Matt my bowl, instead of rolling his eyes, he told me how nice he thought it was. 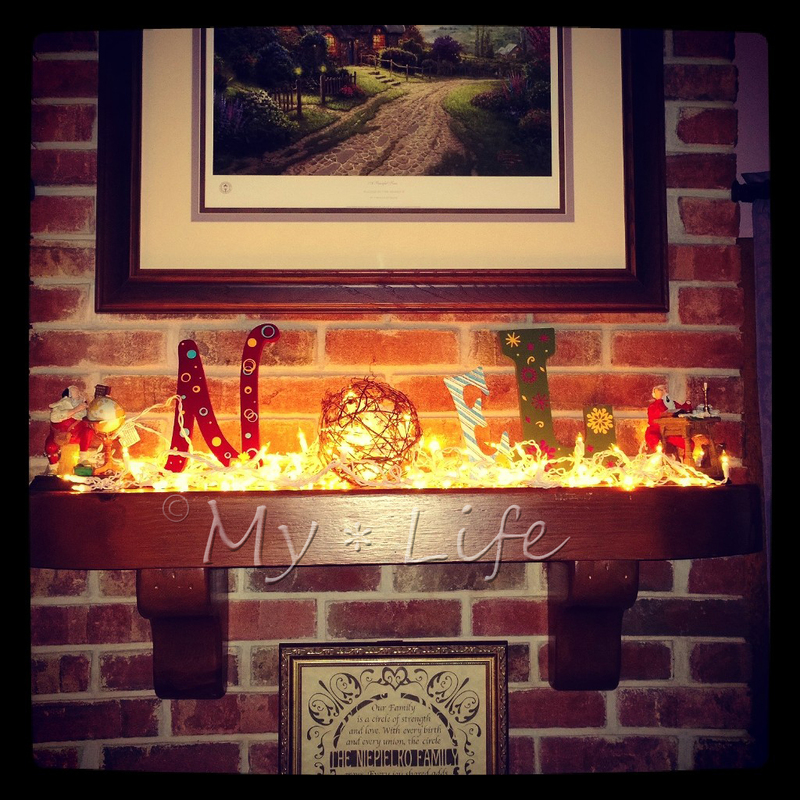 He kept it out on his table all year because he said it was so nice and I was right, it did make the place feel homey. Of course, it wasn’t the pumpkin that made the apartment feel homey. I always felt at home in that tiny, one bedroom apartment because Matt was there. It didn’t matter that the appliances always broke or that the kitchen was too small for two people. It was where my Matt lived, and where I wanted to be. I like to think that he kept the pumpkin out because my decorations, as unnecessary as he claimed they were, reminded him that I wanted him to feel comfortable and cozy even though I couldn’t be there. To this day Matt says the pumpkin bowl is his favorite piece of decor. I know he doesn’t care either way about my bowl or other decorations (and I have A LOT of decoration), but I love that he pretends to. This year, he made me promise to actually USE the pumpkin bowl. After so many years, this actually was the first time I used the bowl! Don’t worry, now that it’s officially broken in, I’ll use it every year. Melt butter in a saucepan and sauté onions. Add broccoli and cook with onions until defrosted. Add 3 cups broth, milk and the cheese and let the cheese melt. Dissolve corn starch in the remaining 1 cup of chicken broth. Add cornstarch mix into soup and heat through.